XIMB has always blazed its own path among the B-schools of this country, nurturing the growth of top talent with the best of both business acumen and thought leadership. Paving the way for this elite pool to be matched with the prestigious organizations of their dreams is one of the achievements XIMB has always prided itself on. And continuing with this grand tradition, the institute has scaled even greater heights as was witnessed during this year's final placement process for XIMB, Xuberance'14. XIMB is proud to announce the fruitful completion of Xuberance’14 with 100% placements for the PGDM (BM) batch of 2012-2014. Despite the prevailing uncertainty in market conditions and the ever-increasing competition, the students have performed admirably garnering roles from numerous premier organizations. ♦ Xuberance ‘14 saw the batch of 176 candidates of PGDM program participating in the placement process. ♦ 54 companies participated in Xuberance ‘14 of which 18 were new recruiters. ♦ 20% of students have been extended PPO/PPI from their summer internship organizations. ♦ The highest domestic salary stood at Rs. 18 Lakhs per annum. ♦ The average annual compensation stood at Rs. 12.08 Lakhs per annum. ♦ The median annual compensation stood at Rs. 11.25 Lakhs per annum. Major recruiters like Cognizant, HCCBPL, Deloitte, KPMG, PwC, TCS, Dr Reddy’s, Tata Steel, SBI Capital Markets and Idea strengthened their relationship with XIMB. New bonds were formed with corporates like Accenture, HP, Hyundai, Axis Bank, Hero Motocorp, Tata BSS, Tata NYK, Tata Hitachi to name a few – a testament to the growing brand equity of this institute. The profiles offered varied in their diversity, encompassing Corporate Finance, Equity Research, Investment Banking, Marketing, Sales and Distribution, Supply Chain Management, Business Consulting, IT consulting and Business Development. The highest international package of USD 40,750 per annum was offered in the Business Development profile while the highest domestic salary increased to Rs.18.00 lakhs per annum. The Consulting area showed a substantial increase to 38% in terms of number of students foraying in this field, demonstrating the rich consulting acumen of the students of XIMB. Cognizant Business Consulting, Deloitte, PwC, KPMG, HP-ITO, Capgemini etc. were some of the major recruiters offering roles in Business Consulting. The Marketing area lived up to its ever rising expectations with recruiters like Hindustan Coca-Cola Beverages Pvt. Ltd. (HCCBPL), Godrej, Tata Steel, Borges, IDEA, Group M, Bajaj Auto, Hyundai, Hero MotoCorp, Apollo Hospitals and many more, making their presence felt by recruiting 22% of the batch. In the Finance stream, lucrative jobs were offered to the students by major financial corporates like SBI Capital Markets, CRISIL, ICRA, Axis Bank, ICICI Bank, Royal Bank of Scotland, HDFC Life, Magma Fincorp, and many more, echoing the strong belief of the industry in the financial intellect of the students of XIMB. The Systems sector continued its constant growth and dominance with the major IT behemoths absorbing almost 19% of the batch. Major recruiters like Tata Consultancy Services, HCL Technologies, Wipro, Polaris, Accenture Technology Services, Mindtree, Tata Interactive Systems, Infosys BPO etc., offered diversified roles in the IT sector to the young thought leaders of XIMB. General Management, Strategy and Operations also witnessed a rise in recruitments. Renowned conglomerates like Larsen & Toubro and companies like Tata BSS, Tata NYK offered lucrative profiles to the young and dynamic managers of XIMB. The prowess of XIMB in providing a global and holistic outlook to its young managers has been proven yet again. Three of its students bagged coveted international management profiles with the highest international package increasing to USD 40,750 per annum offered by a leading Market Research firm based out of Indonesia. XIMB has been successfully able to carry forward its rich legacy of producing young and dynamic business leaders, a testimony to which are the alumni of XIMB who are playing major roles in the leading corporates . The institute has helped all its students realize their true potential and help them achieve their career goals with competitive salaries and rich job profiles for the best career path in future with 100% placements. XIMB through its PGDM (HRM) program has provided a veritable arena for cultivating the top HR managers of tomorrow guided by its renowned faculty.Designed by industry leaders and veterans, the program gives the students a holistic exposure through courses in finance, marketing, operations and strategy taught with an HR orientation along with specialized courses in Human Resource Management. This program has the right mix of traditional courses in industrial relations, organizational behaviour, strategic management, compensation and benefits, and practical tools in the industry at present like Competency mapping and Assessment Centres, HR Metrics and HRD Instruments. XIMB proudly announces yet another exemplary year of placements for the PGDM (HRM) batch of 2012-2014. The pool of HR talent showcased by the institute attracted a number of leading companies to the campus and resulted in an array of impressive roles being offered to the students. ♦ Xuberance ‘14 saw the batch of 59 candidates participating in the placement process. ♦ 34 companies participated in Xuberance ’14 out of which 18 were new recruiters. ♦ 18% students received PPO/PPI opportunities during their summer internship itself. ♦ The average annual compensation stood at Rs. 10.07 Lakhs per annum. ♦ The median annual compensation stood at Rs. 9.55 Lakhs per annum. Major Corporates like Aditya Birla HR Leadership Program, Capgemini, Tata Steel, Glenmark, Deloitte Human Capital, ITC Infotech, Ambuja Cements, L&T, Randstad, Godrej and Boyce, Korn Ferry and many more were among the top recruiters of the 2012-14 batch of PGDM (HRM). Having achieved commendable results for its PGDM (HRM) program, XIMB has lived up to its reputation in helping students realize their career aspirations as future leaders in the Human Resource domain in the best way possible. The Post Graduate Diploma in Management (Rural Management) is one of the flagship programs of XIMB. The uniqueness of PGDM (RM) lies in imparting in students a perfect combination of managerial skills and the ability to understand the complexities of the rural sector. The PGDM-(RM) envisioned by the great visionary Fr. Bogaert emphasizes the need to expand the use of management science to rural sector in the form of creating managersfor the social sector. The basic objective is to instil professionalism in the rural economy. It is now well recognized that professionalism and professional interventions are going to play a major role in shaping the future of rural India.The PGDM (RM) program seeks to address this critical gap. 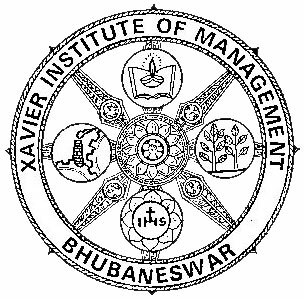 XIMB successfully completed placements for its 2012-2014 Rural Management graduates. The placement season witnessed participation of companies cutting across all the established major sectors including consultancy, development, sales and marketing, commodity trading, banking and financial services etc. XIMB-RM has become the preferred place for organizations in the consultancy and development consultancy areas. The continued faith of past recruiters and addition of new organizations to the list indicates the same.Offers were received for a plethora of responsibleroles such as Consultant in PricewaterhouseCoopers and Deputy Manager-Research in Sambodhi Research & Communication. BFSI sector has again attracted the best financial minds. Bajaj Allianz and Magma Fincorp are new recruiters in this sector in addition to Axis Bank,ICICI and Ujjivan.Sales & Marketing sector saw the continued patronage of organizations like Amul and SREI-SAHEJ, while companies like United Phosphorous Ltd. participated for the first time. NCDEX offered the role of an Executive Trainee to our students while Kadence International offered the role of Qualitative Technical Adviser. The RM programhas been successfully engaging firms for recruiting business development executives for the rural markets and this year was no exception. The growing interest of students in sectors like research, E-governance, agri-business etc., was welcomed by the stalwarts of the industry like IFMR, AISECT and DSCL.A large number of students joining grassroots organizations like Jeevika (BRLPS) point to the fulfillment of the objectives of the Rural Management program.